If you’re a Vermont business, you’re probably already familiar with some of the energy rebates available to you through organizations like Efficiency Vermont and Vermont Gas. These rebates and other incentives make it more affordable for businesses to perform energy-efficient upgrades to their facilities. Some of the most popular upgrades include lighting, refrigeration, HVAC, and Building Controls. But there is another area of your facility that has the potential for huge energy cost savings with a simple efficiency upgrade, and it also gives you the opportunity to take part in Vermont Gas’s custom rebate program. When you insulate your pipes, ducts, and other mechanical equipment, the energy savings doesn’t just impact your business’s bottom line in a positive way—it makes a difference to your utilities provider as well. Depending on the amount of potential energy savings, Vermont Gas offers businesses the opportunity for a financial incentive if they install mechanical insulation that will reduce their facility’s natural gas consumption. The first step in getting a Vermont energy rebate for mechanical insulation is finding out if your business qualifies. The experts at Vermont Gas need to be able to determine whether the energy savings from the insulation will be significant enough to make an impact on your facility’s natural gas consumption. 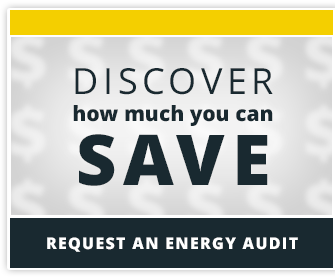 In order to get the most accurate projections possible, your facility will need to have an insulation energy assessment performed by a qualified insulation contractor. The insulator gathers data about your facility and supplies a report with custom calculations that highlight the potential savings and the recommendations for reaching them. After the report has been generated, Vermont Gas will review the data and determine your financial incentive options. Mechanical insulation is one area of energy savings that often gets overlooked. It’s the simplest way to reduce your facility’s energy consumption, and yet many people aren’t fully aware of its importance. Vermont Gas offers custom rebates to businesses that make efficiency upgrades that aren’t specifically listed on their website, and insulation is the perfect opportunity to take advantage of this offer.